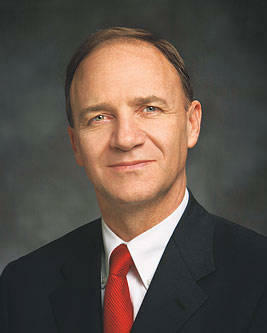 Paul Bowen Pieper is a general authority of The Church of Jesus Christ of Latter-day Saints. He was called to serve in the First Quorum of the Seventy on April 2, 2005. He was serving as president of the Russia St. Petersburg Mission at the time of his call to the Seventy. As a Seventy, he served in the Europe East Area from 2005 to 2009, and from 2009 to 2012, he assisted in coordinating the Church’s Middle East/Africa North Area, administered from the LDS Church headquarters in Salt Lake City. He then served as executive director, first of the Curriculum Department and then the Priesthood Department. On June 23, 2007, he presided over the groundbreaking ceremony for the Kiev Ukraine Temple. He served as a full-time missionary in Mexico as a young man; he became the branch president and the first-ever leader of the LDS Church in Kazakhstan. Pieper was born on October 7, 1957, in Pocatello, Idaho. He attended Brigham Young University and earned his bachelor’s and Juris Doctorate degrees from the University of Utah. During his professional career, he lived and worked in Latin America, Asia, and the former Soviet Union for law and management consulting firms based in the Washington, DC area. He and his wife, Melissa “Lisa”, are the parents of six children. She is a daughter of A. Theodore Tuttle, a former general authority.